NumMth: The number of months the advertisement has been listed. 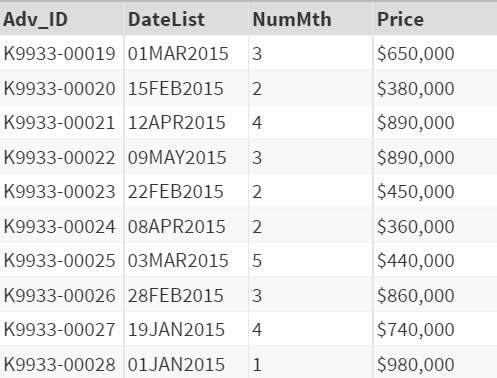 You are about to analyze the relationship between the Number of months listed and the properties' sales price. However, a junior analyst has mistakenly made all of the variables a character variable. Convert the DateList, NumMth, and Price variable into numeric using proper informats. Also, ensure proper formats are assigned to the numeric variables as well.